Reading the social media forums, I see a lot of criticism about the DVSA changing the qualifying tests to become a driving instructor. Comments like ‘dumbing down’ and ‘it’s against the rules of the Highway Code’. Few seem to support the changes and seem to berate the DVSA for daring to change the test. Some of this is the human nature to resist change and some is the usual ‘I hate the DVSA’ brigade but let’s look at this with some common sense. The changes stem from a few things. The recommendations from the MERIT report and the realisation that the GDE matrix comes from real pedagogy and coherent coaching methods. It comes from the changes to not only the restructured learner driving test but to also align with the new Standards Test. What does the part 2 test, test? It tests the skill that you will demonstrate and teach to the learner so what would be best to test? Yes, the very same test that the learner will do. It is up to the individual to check that their skills such as manoeuvres are up to scratch. Any conscientious instructor should by self-assessment know their strengths and weaknesses and take corrective steps to improve where needed. The part 2 test will become an enhanced version of the learner test and quite rightly so. 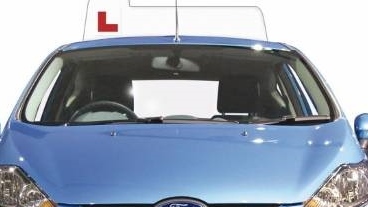 If a driving instructor wishes to do some form of advanced test then there are plenty to choose from. The Institute of Advanced motorists, ROSPA or the DVSA’s own Cardington if they fancy a real challenge. Personally, I recommend doing an advanced driving test as part of the training to become a driving instructor. So, the new test will test the potential driving instructor on the very things the instructor will be teaching the learner. This seems like common sense to me and gives the driving instructor the realia of the actual driving test. It also allows the instructor to experience the nerves and procedures about the driving test. This is a great experience and one that gives empathy to the instructor to share with the learner. For years instructors have complained about the Pre-Set-Tests (PST’s) not being realistic. 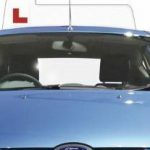 The new test allows the driving instructor to take a real pupil or someone of their choosing instead of an examiner doing a role play. This is great news and the format will be the same as the standards test. This means that unlike in the past trainers will not be under the allusion that a ‘check test’ is different than the part 3 test. The instructor will already know who they are taking for test and in an ideal situation, the part 3 test will be just an extension of a normal lesson. A lesson where the examiner just effectively hops in the back and observes. If the trainer using correct teaching methods and learning takes place, a pass will happen. The part 3 test will be a ‘real’ lesson with a real pupil. In my opinion, this also means that the instructor will need to be ready to change the lesson ‘if’ the need arises. This is likely to be a common occurrence as with the Standards Test, a pupil will often revert to not being able to do something they strangely had not had problems with before. With the correct training, this should not be a problem for the instructor.